Now I have a new found love for bras, I was excited to hear from Bras Galore, they have a huge range of big name lingerie brands like Freya, Elomi and Fantasie. I went over to the site and made a couple of selections which I sent over to the team and they chose a bra for me from my shortlist (which trust me was hard to come up with). I was delighted when I received the Fantasie Elodie in the post. I tend to wear a lot of black lingerie as I find it goes well with most outfits. What I liked about this bra is that although the base is black it has the beautiful white overlay of lace which makes it super pretty. I wore the bra to travel in on our recent break and it was surprisingly comfortable. There was no digging in, the fabric was soft and it looks so pretty. I think in hindsight looking at these pics I need to tighten the straps a bit, but other then that the fit is good. The embroidery and detailing is so pretty, something Fantasie do really well. The Elodie is available in 30-42 back size and cups D-J and is priced at £41, which for the level of detail and quality is really reasonable. So you might remember last week I wrote about my experience with the new Evans Shape Stylist service. 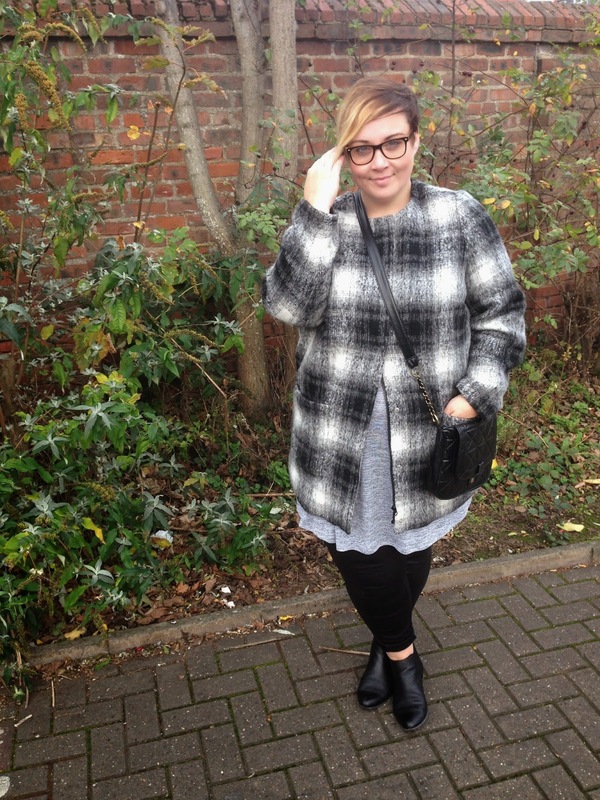 Today I've got a couple of pieces to show you from the recommendations my stylist made. When I used the service I spoke about our planned weekend away and how I'd like some pieces for that, this is what my stylist came up with. 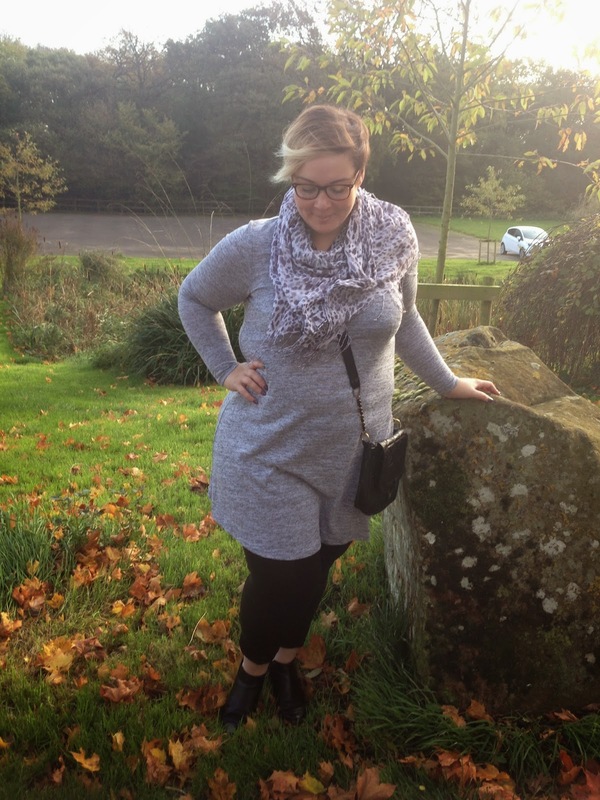 This grey marl swing dress is perfect for dressing up or down, it's fine knit texture means you can layer it up which is great whilst the weather is still so changeable. 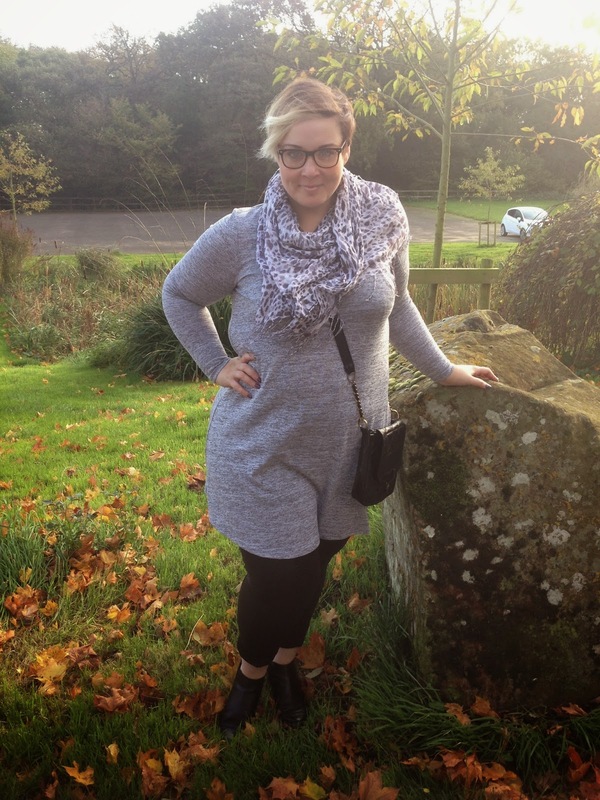 I teamed mine with a leopard print scarf, ponte treggings and ankle boots. In my infinite wisdom, I sized down to a 20 as I sometimes find when Evans goes into its dual sizing (grrr) the 22/24 can be too big, on this occasion I think I should have stuck to my own size as the 20 is a little snug, but it's fine, I think I got away with it! 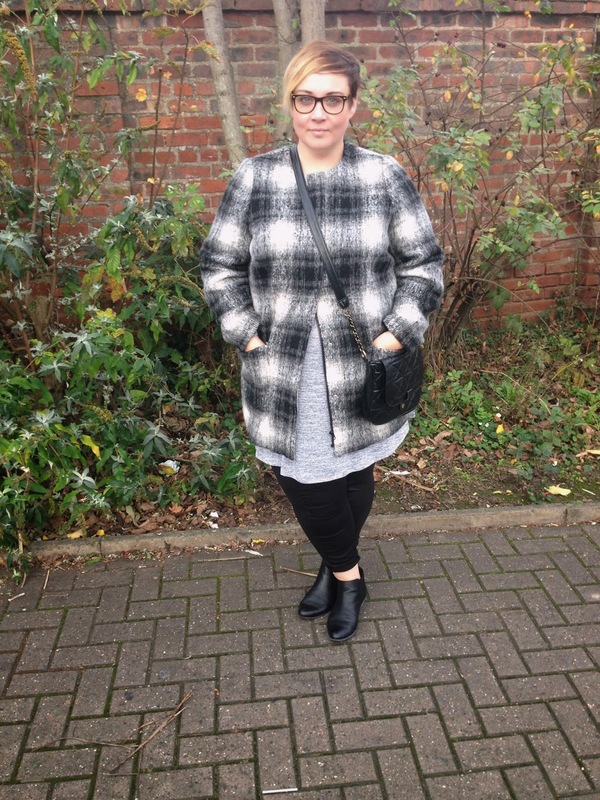 I also picked up this grey check collarless coat, which I'd seen on Em a while back and fell in love with. 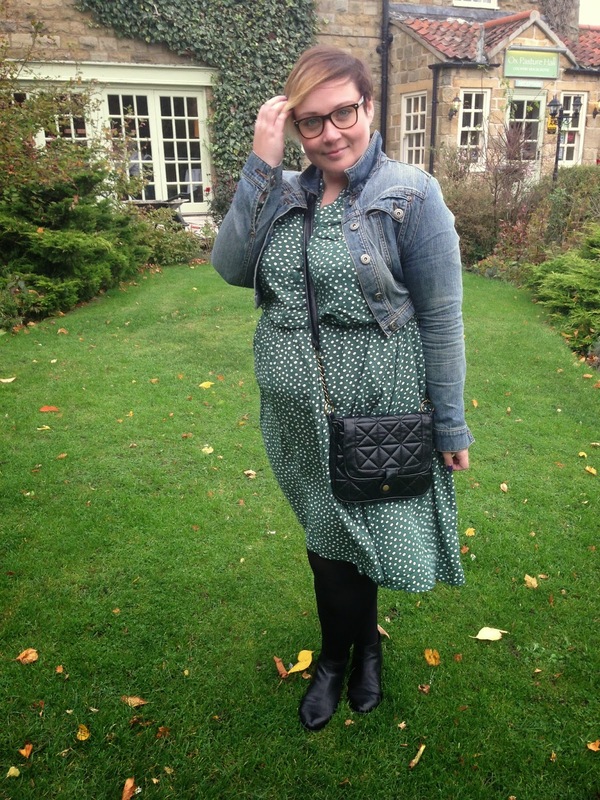 It goes perfectly with the swing dress and will be great to throw over most things this winter. I like it because it's really versatile, it's going to look just as good with jeans as it is with a more dressy outfit. I'm wearing the 22 which I found true to size. It does zip up, I have no idea why I don't have it zipped up? Haha! It's a soft, fluffy texture and the zip is concealed so it looks really clean and tailored when on. I've got a couple more pieces to share with you through the week, including an awesome bronze shell top that's pretty special. This weekend myself and Michael headed north to Yorkshire, my folks took Poppy for the night so we could enjoy a much needed break. We've been working so hard, what with the shop, flat renovations and uni that I could have jumped for joy when the email inviting us to Ox Pasture Hall Hotel arrived in my inbox. Located just 2 miles from Scarborough, the hotel is just about as far removed from anything you'd associate with a seaside resort. Set in rolling hills and woodland, it's the perfect country getaway. As we stepped out the car I could feel the stress melting away. Ox Pasture Hall - The grounds in all their glory! The reception was easy to find and we were greeted by a lovely chap (I didn't catch his name) who showed us personally to our room, as we walked through the grounds, it was obvious how well they are maintained. The grounds are split up into courtyard areas, each one with a water feature and seating, I can imagine it would be lovely in the summer to sit and read in the sunshine. We stayed in a suite, which, lets be honest, is pretty down right swanky, it's not something most of us could afford to do very often, but if you have a special occasion to celebrate, or fancy a bit of luxury, this is the place to be. The room consisted of a huge, well appointed bathroom with shower and a massive bath, a living area and bedroom. The furniture was all beautifully crafted oak and the suite was decorated in relaxing neutral tones. 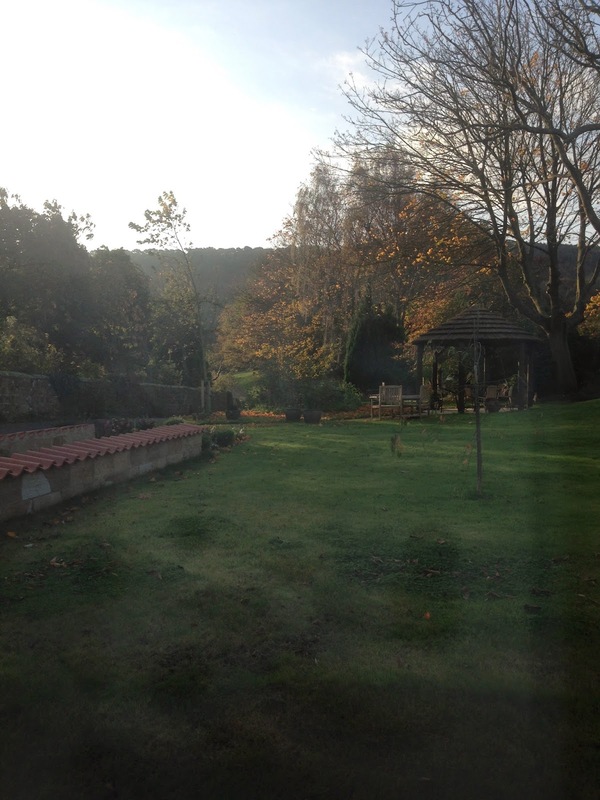 The view from our window was stunning and even on a relatively gloomy autumn day, the rooms were flooded with light. Once we'd settled in we headed to one of the lounge areas in the hotel to enjoy a spot of afternoon tea. Relaxing on the big leather suites we were presented with three tiers of yummy homemade treats. The finger sandwiches of beef, cucumber and a chive butter and egg mayonnaise were delicious, followed by a zingy lemon cheese cake, chocolate and pistachio gateau, and my favourite, freshly made, still warm scones. Pleasantly full we headed back to the room to relax, do a bit of reading and watch some TV. These are the small pleasures that we don't really have time for anymore, so it was truly wonderful to be able to just forget about everything for a while. The hotel has a bar and bistro as well as a restaurant with A La Carte menu. We booked in for a meal at the latter. As the hotel has lots of lovely lounge areas you can sit in one of those and peruse the menu in comfort before heading to your table for dinner, which is just what we did. After a glass of Prosecco and a short wait we were shown to our table. 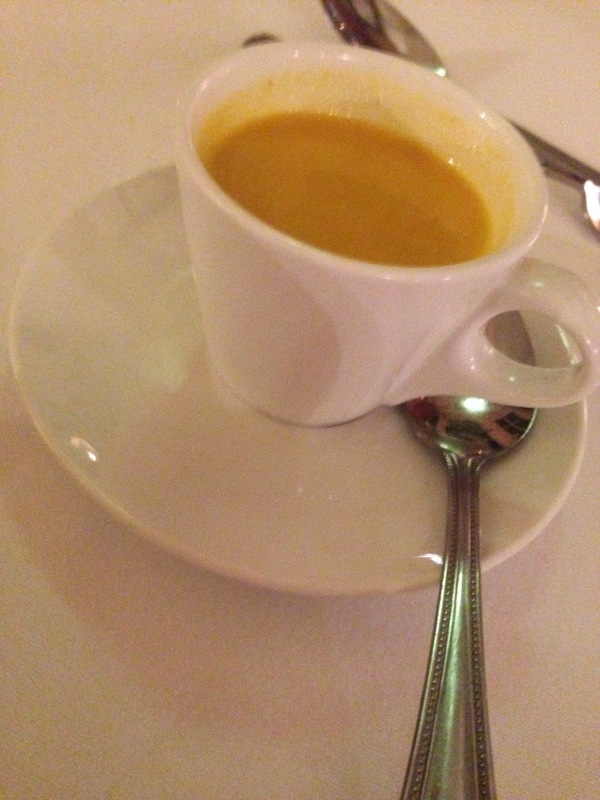 A small appetiser of carrot and cumin soup was brought out before our starter, which was absolutely delicious. For our starter we both went for the Ham, Egg and Peas, a dish of mini ham hock, pea mousse, crispy quail egg, pickled vegetables and a honey mustard dressing. Holy. Moly. It was so delicious, the flavours were perfectly balanced, the vinegary vegetables cut through the rich, salty ham and the sweet pea puree and the cripsy quail egg added texture. Michael and I ended up in a fit of hysterics because we kept making yummy "mmm" noises which got quite embarrassing in the end, which in turn set us off laughing like naughty school kids! (Can't take us anywhere). 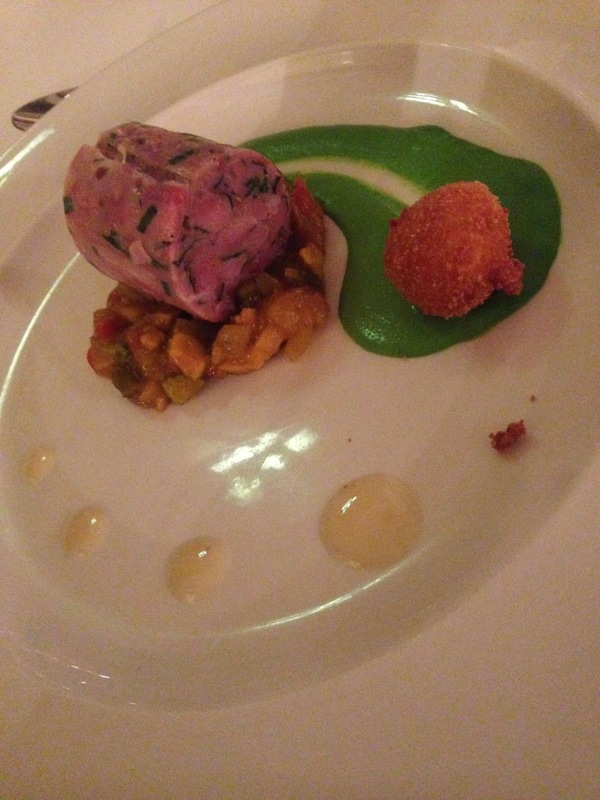 For the main course, I went with the lamb and Michael opted for the confit duck. Needless to say, the yummy noises didn't stop at the starter. 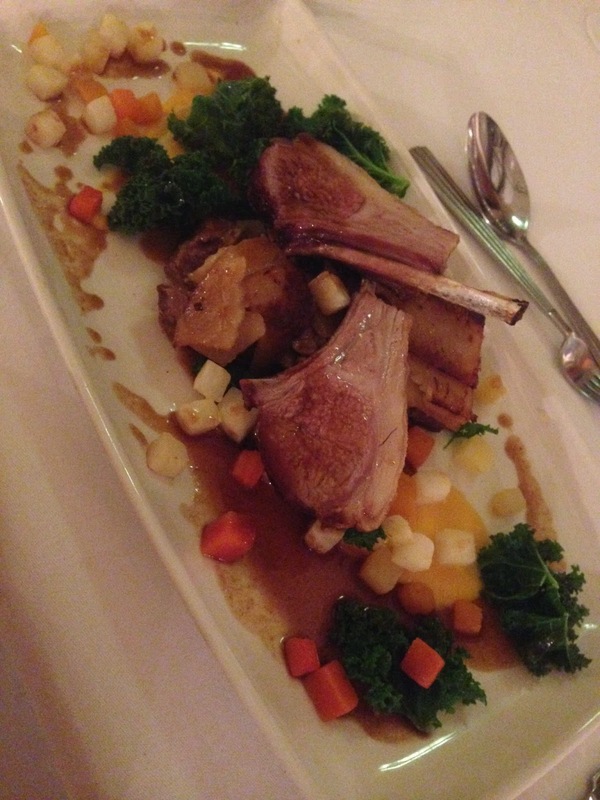 I don't have lamb very often because I'm the only one in my house that likes it, so it was a very welcome treat, the melt in the mouth bone rack of lamb was cooked to perfection and served on boulangerie potatoes, so delicious. 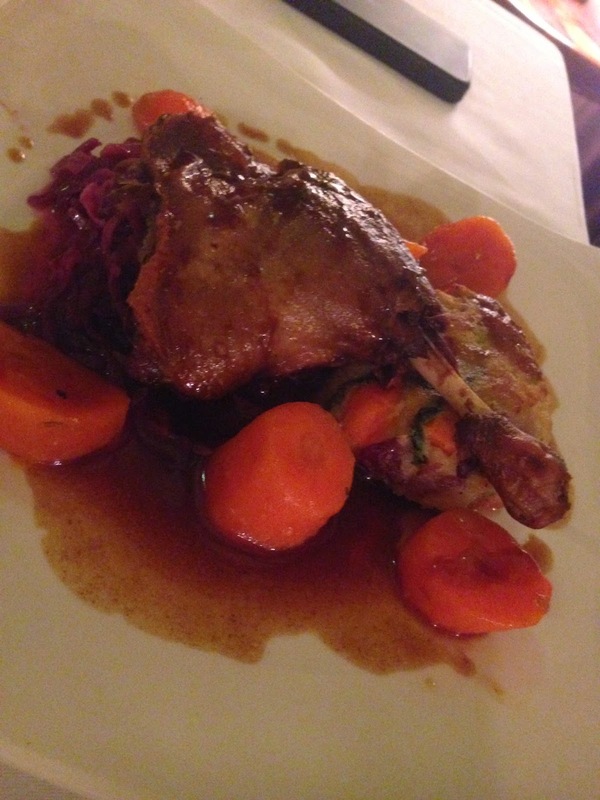 The confit duck just fell away from the bone and Michael certainly had his happy face on throughout the meal! Sadly I have no dessert pictures to show you, Michael and I were defeated by the starters and main and had no room left for pudding! I know, weak, feeble fools! Off we headed, back to our suite where we lounged around, again (it was marvellous), exhausted by all the fresh air and good food, we slept like babies in the most comfortable of beds. In the morning, greeted by the stunning views, we headed back to the restaurant for breakfast. We both went for the full "Yorkshire" cooked breakfast which we both noted was really fresh tasting. 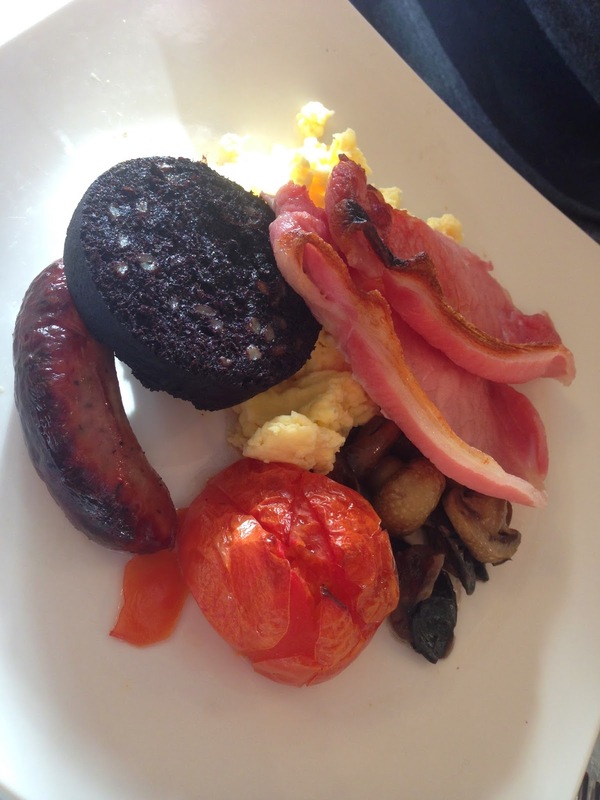 All too often hotel breakfast can taste a bit stale, I think it's the culmination of cooking on mass and not always greatest of ingredients, but this was most definitely not the case the the Ox Pasture Hall. The breakfast was so tasty, fresh and surprisingly light considering it was a cooked breakfast. As you can see, there's not a jot of grease on the plate. 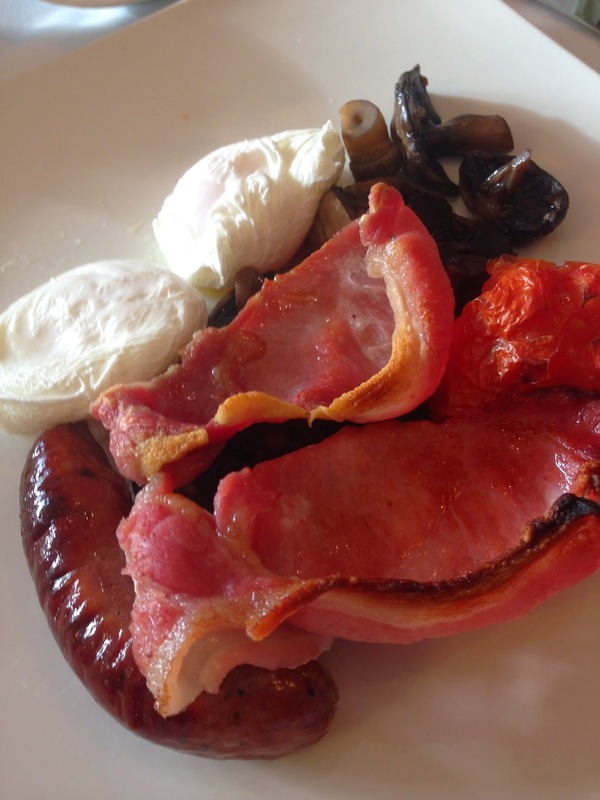 I had the poached eggs and they were cooked to perfection, still runny and unctuous in the middle. 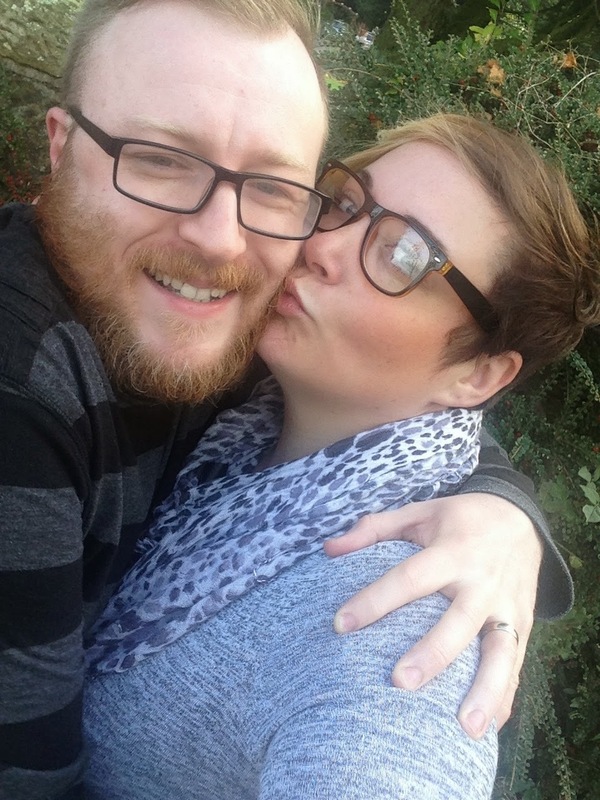 Whilst there, we couldn't help but reminise about our wedding as it reminded us so much of where we got married, and what a perfect place it would be to get married too. They have the most beautiful wedding facilities, it almost makes me want to do it all over again, but I guess I'm stuck with the ginger fox for now! Haha! After breakfast we went for a little walk around the grounds, taking in the fresh morning air and making the most of our last couple of hours there. Our stay was just what the doctor ordered, we could not have wished for a more relaxing, luxurious, tasty break. 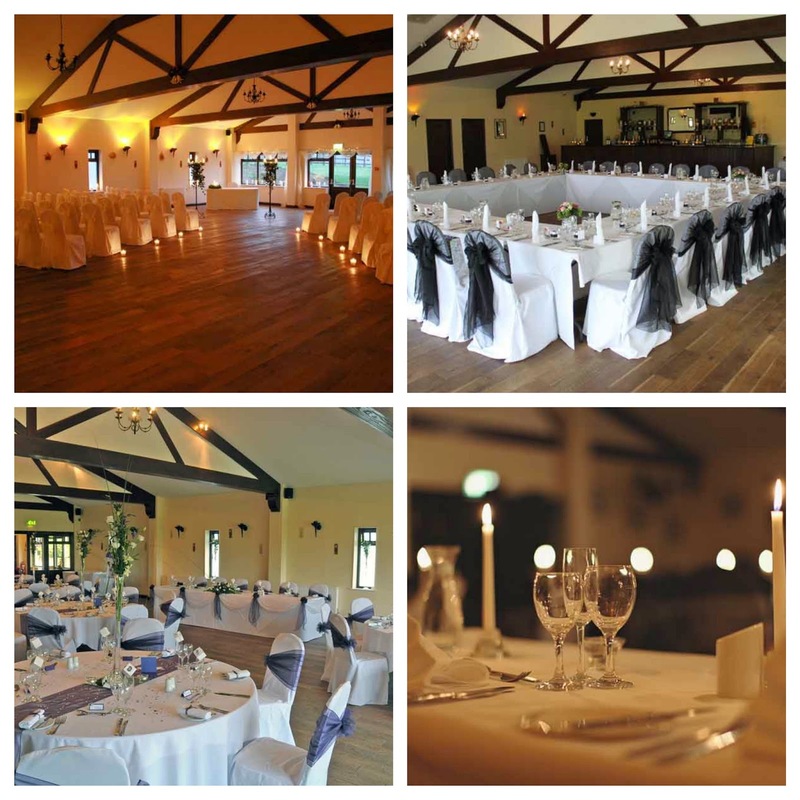 I cannot recommend Ox Pasture Hall highly enough, the staff were wonderful and courteous, the atmosphere was friendly and welcoming, it really is a little slice of heaven in the Yorkshire countryside. Well actually, not that much of a change to be honest, and I ummed and ahhed if it was even worth writing this post, but I thought you might wonder what was going on otherwise. 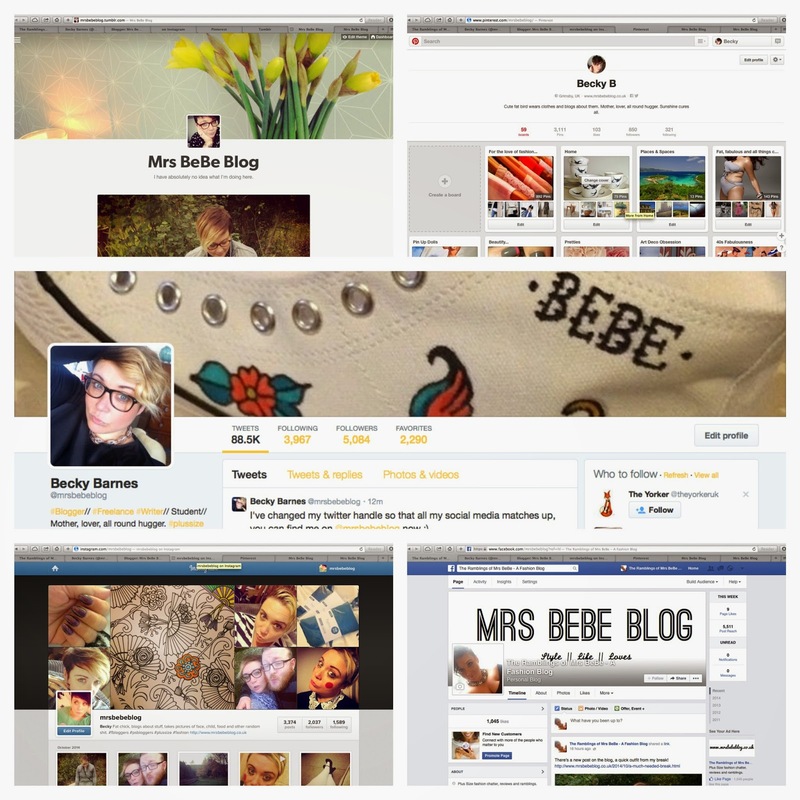 You might have noticed a little change to the header, I've dropped the 'ramblings' and inline with my url and my social media, I'm just going by Mrs BeBe Blog now. I'm having a little revamp and it's kind of ongoing. 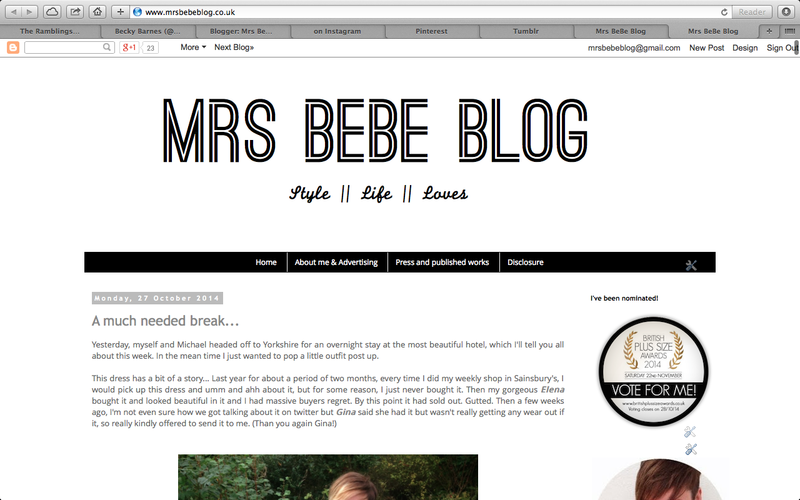 I'm tweaking and having a play until I get the look of the blog right. No major changes, just evolving I guess? 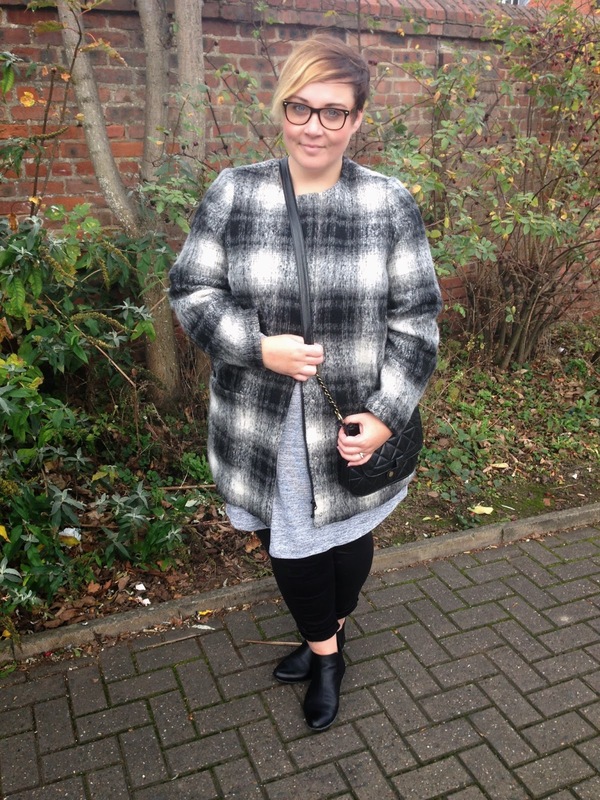 I'm incorporating a bit more lifestyle stuff in the blog, it wasn't a massively conscious decision, it was more the fact that some fab opportunities dropped into my lap, so I thought I'd go with them. Plus I think it breaks it up a bit for you guys. 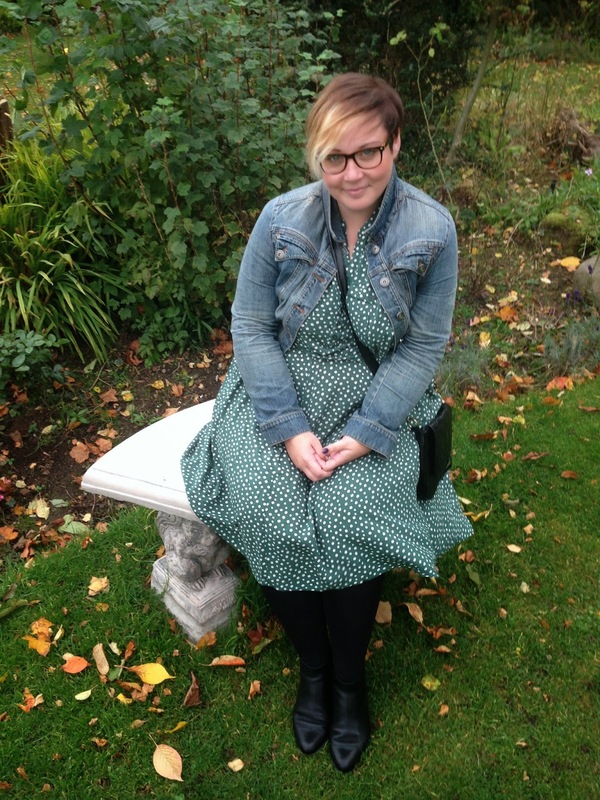 The endless stream of pictures of me with my hand on hip must surely get a bit tiresome! Haha! I will first and foremost always be a fashion girl, it's my true love and passion, but I thought it would be fun to throw some food, travel, beauty, and lifestyle bits into the mix too. Facebook - Blog updates and shared posts. 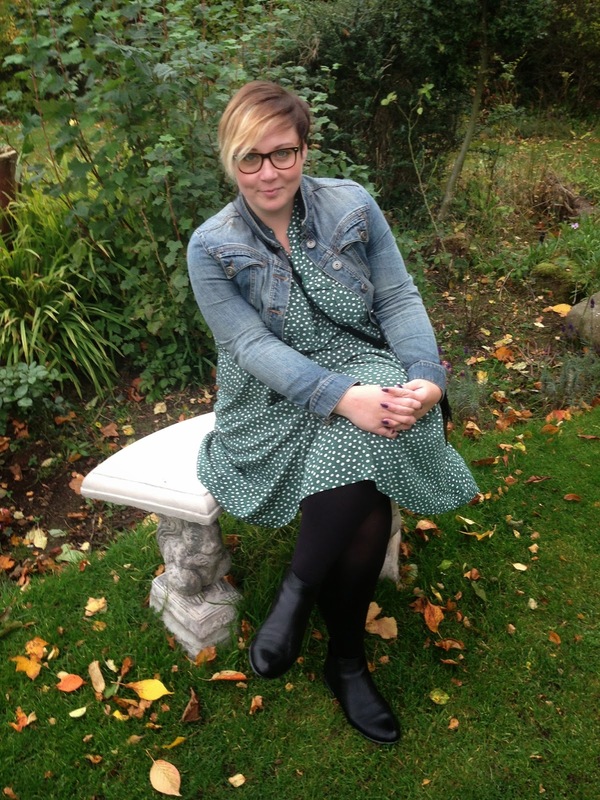 Twitter - Inane ramblings of a mad woman and blog stuff. Instagram - Endless pictures of my face, food and child. Pinterest - Pictures of stuff I wish I owned, and places I wish I could visit. Tumblr - Weird stuff even I'm not sure I understand. 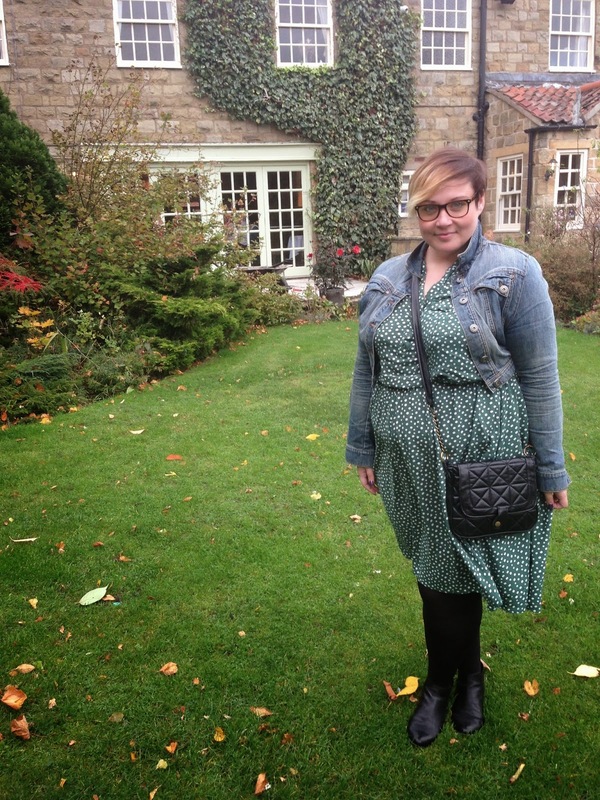 Yesterday, myself and Michael headed off to Yorkshire for an overnight stay at the most beautiful hotel, which I'll tell you all about this week. In the mean time I just wanted to pop a little outfit post up. It's so pretty, it's simple and has a vintage feel about it. We had afternoon tea at the hotel, so I felt really pretty and girly (well as girly as I'll ever feel without getting out of my comfort zone). 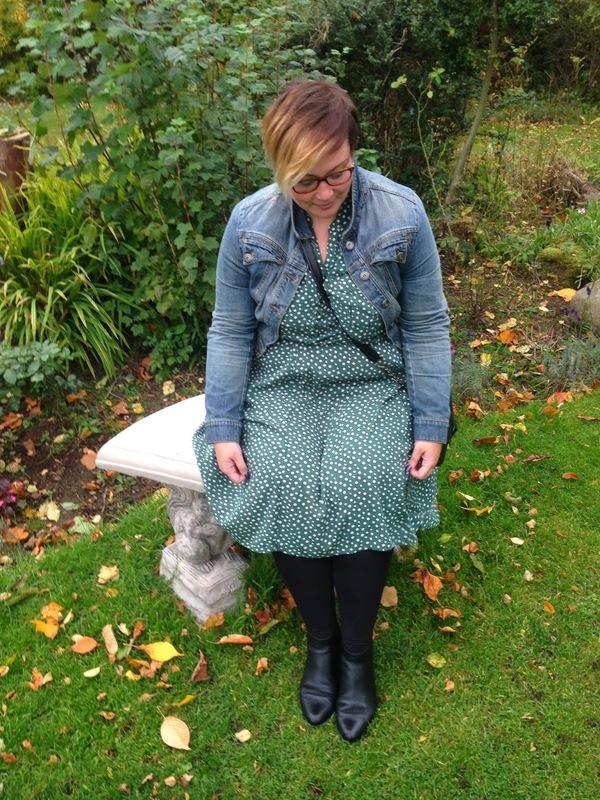 It is a 22 and fits so well, so although obviously you can't buy this particular dress, but it's good to now that Sainsbury's 22 is true to size. I'm just sad I didn't buy it at the time so I could have enjoyed it a year longer! 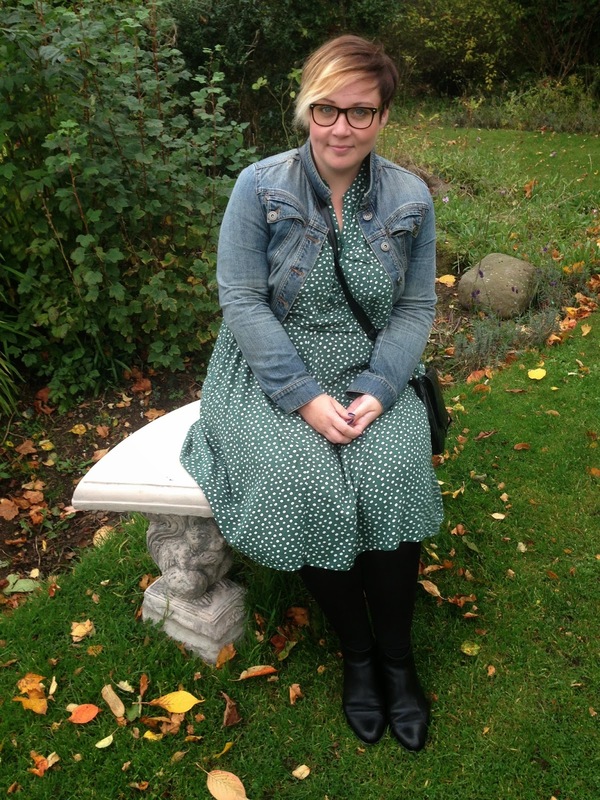 I'm not even going to apologise for the excessive sitting down shots. It was such a beautiful setting and I felt all pretty in my dress, so I didn't have the heart to cut any pictures out! 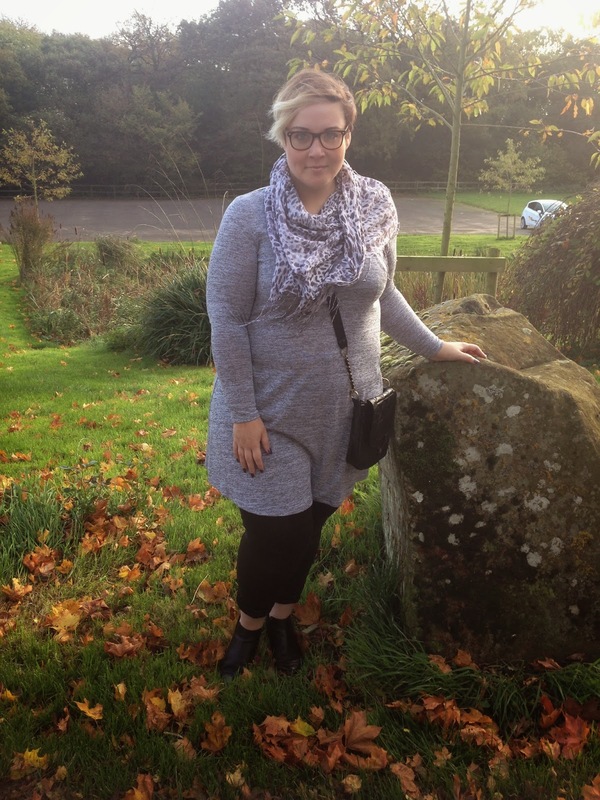 Also I'm still so in love with these boots from Clarks too, they are so, so comfortable and versatile, I've worn them with so many different outfits, they're my new love! They're a D fit, but the leather is so soft and I think they're quite generous width wise, so worth trying if you're looking for some cute chelsea boots. As you can see, the fresh country air, calm surroundings and wonderful scenery was agreeing with me and I felt the stress melting away the minute we stepped out of the car. I wish we could have stayed longer! Maybe another time!